Volvo Trucks is a highly regarded supplier to the Danish construction industry. However, some carriers have bought their trucks second-hand, and for that reason they are not familiar with Volvo Trucks or their service offer. Volvo Trucks wanted to build relations with this target group. We developed a campaign based on the insight that however experienced the carriers are, they still don’t know all the capabilities of their trucks. 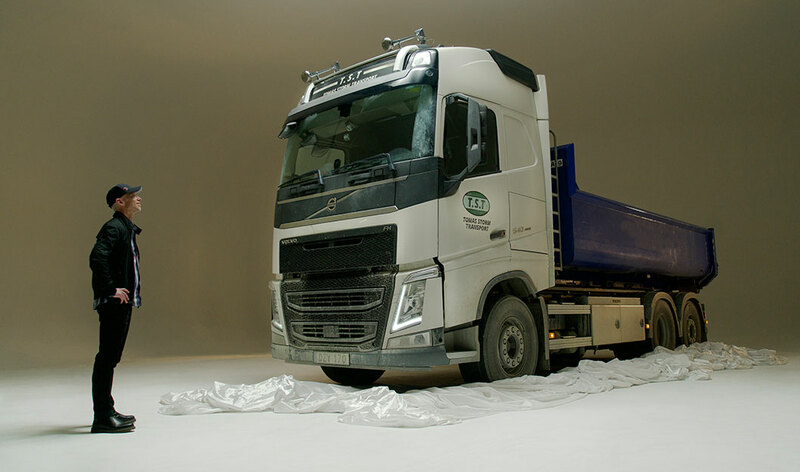 The reason is that they’ve bought their trucks from other dealers than Volvo Trucks, and consequently missed out on the important vehicle handover – a procedure during which a Volvo expert explains all the truck’s features. So what could be more appropriate than to invite the carriers to such a vehicle handover – performed on their own trucks? As a welcome to the Volvo Trucks community. As a complimentary gift of valuable know-how. We created an invitation campaign that plays with the well-known concept of new-vehicle launches. Urging the carriers to discover the full potential of their trucks in a “Second Launch”.